Furniture making, practiced as a craft in the 21st century, is a decidedly marginal occupation. Yet the view from the periphery can be illuminating. For woodworker Peter Korn, the challenging work of bringing something new and meaningful into the world of one’s own volition—whether in the arts, the kitchen, or the marketplace—is exactly what generates the authenticity, meaning, and fulfillment for which so many of us yearn so deeply. Korn explores the nature and rewards of creative practice. We follow his search for meaning as an Ivy-educated child of the middle class who finds employment as a novice carpenter on Nantucket, transitions to self-employment as a designer/maker of fine furniture, takes a turn at teaching and administration at Colorado’s Anderson Ranch Arts Center, and finally founds a school in Maine: the Center for Furniture Craftsmanship, an internationally respected, non-profit institution. This is not a “how-to” book in any sense. Korn wants to get at the why of craft, in particular, and the satisfactions of creative work, in general, to understand their essential nature. How does the making of objects shape our identities? How do the products of creative work inform society? In short, what does the process of making things reveal to us about ourselves? Korn draws on four decades of hands-on experience to answer these questions eloquently, and often poignantly, in this personal, introspective, and revealing inquiry. 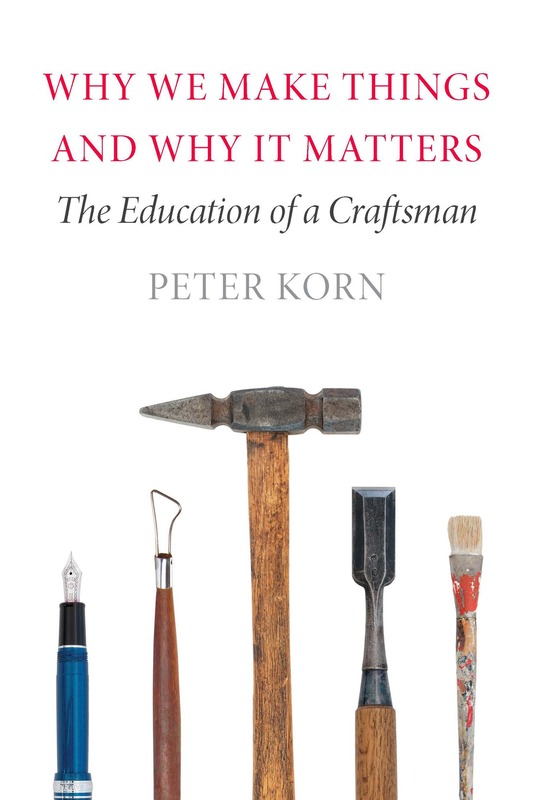 Peter Korn is the founder and Executive Director of the Center for Furniture Craftsmanship, a non-profit woodworking and design school in Rockport, Maine. A furniture maker since 1974, his work has been exhibited nationally in galleries and museums. 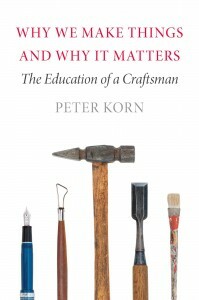 In addition to Why We Make Things and Why It Matters: The Education of a Craftsman, Korn is the author of several how-to books, including the best-selling Woodworking Basics: Mastering the Essentials of Craftsmanship (Taunton Press, 2003) and The Woodworker’s Guide to Hand Tools (Taunton Press, 1998). The former has recently been translated and published in both China and South Korea. Korn was born in 1951 and grew up in Philadelphia, where he attended Germantown Friends School and majored in history at the University of Pennsylvania. This summer, Portland Public Library is teaming up with the Portland Museum of Art for select Brown Bag Lectures to offer three afternoons of literature, art, and discussion. Portland Public Library’s Brown Bag Lecture Series features reading and question-and-answer sessions with authors from Maine and afar. On these select Wednesdays, start at the Library and join the author lectures, then head to the Portland Museum of Art* for free admission and a tour of works that relate to the themes in the books. Conversation continues with tea and cookies at the PMA Café.